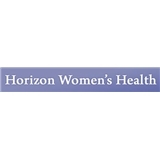 Horizon Womens Health (Henderson) - Book Appointment Online! Horizon Women's Health practices state of the art medicine and offers women of all ages personalized and compassionate healthcare for the changing phases of their lives Offering a full range of obstetrics and gynecology services from your initial exam, to childbirth and through menopause and beyond, our goal is to offer patient centered medical care based on mutual trust and communication. Dr. Foster is the best. Very attentive and friendly. The staff there is always nice and friendly.